I appreciate this is a slightly left-field tangent from photography but stay with me. I recently watched the excellent David Fincher Minduhunter series on Netflix and couldn’t help but be blown away by the opening titles, in particular the beautiful reel to reel tape recorder that features in the sequence. 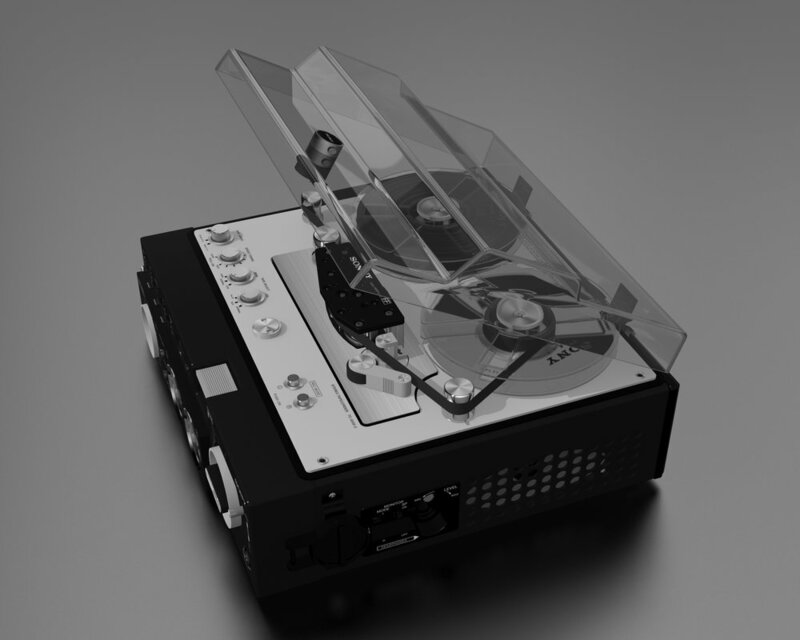 For a while now, I’ve been looking for a 3D project and decided this was it, I would build an accurate model of the Mindhunter tape recorder. So began the research, downloading a HD version of the intro, then frame by frame looking for identifying features that would give me a clue as to the model and make of the machine. I soon realised that none were visible, I couldn’t identify it but as with all things, the internet is awash with fascinating people with fascinating hobbies and I pretty quickly found a vintage audio discussion thread talking about that very recorder and its part in the Mindhunter titles. It turns out to be a 1975 Sony TC5550-2 but when I dug deeper, I discovered that finding one in good enough condition to stand up to the macro scrutiny that Fincher wanted in the sequence was impossible. Eventually the art department commissioned a prop builder to make a machine from scratch, or at least from moulds from original machines. In creating an ‘as new’ machine a few changes were made along the way, the removal of any product branding being one, hence my initial difficulties, but also switching from acrylic, three hole reels to alluminium, four hole reels. I was already a little way into my ‘stock’ TC5550 when I found out about the changes but decided to complete the standard machine, get it to a level I was happy with, then convert it to the Mindhunter spec version, the one faithful to the title sequence. The below images are just in-progress renders, it’s far from finished, the surfaces and materials still need more work and there are still many parts missing, straps, cables etc. Once complete I’ll begin the conversion to the screen variant and post some high quality renders here.